Members of the Headwaters Chapter are involved with three different water monitoring projects, each using different methods and organizational collaborations, but with the common goal of protecting our area water resources. 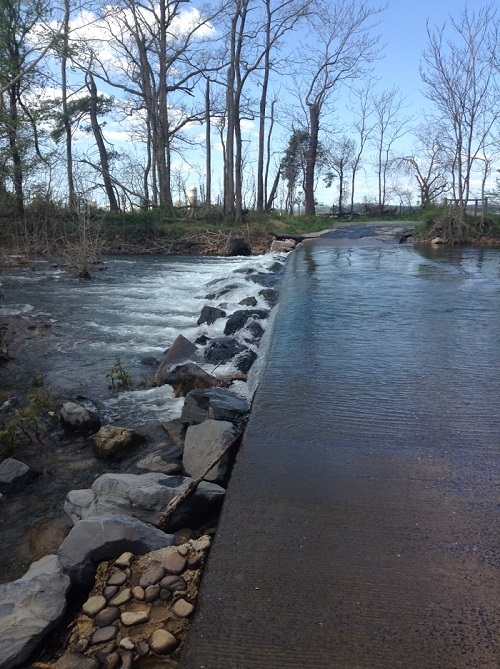 Headwaters Chapter Adviser and Fisheries Biologist Paul Bugas and the Virginia Department of Game and Inland Fisheries play supportive roles in all these efforts. “Pretty stunning that so many Headwaters Master Naturalists have taken over routes for the Friends of the Shenandoah River water monitoring. Twice a month, for the past 20 years, volunteers take water samples from every tributary on the Shenandoah, which are then taken on ice by volunteer couriers to the lab (Department of Environmental Quality approved) at Shenandoah University. RoxAnna takes samples from six sites around the Dayton/ Bridgewater area, Judy Tammi = Middle River and Moffett Creek, Sue Eckroth is Mill Creek, Cub Run, and Naked Creek. Ginny Hoffman has North River in three different spots. They are joining 20+ local volunteers from above Waynesboro all the way down the watershed, to assess multiple variables, including several types of nitrogen, phosphorus, turbidity, temperature, dissolved oxygen, and local conditions. Whit Morriss, chair of the Riparian Stewardship Committee of the Friends of the Middle River, coordinates a three times yearly benthic monitoring program spanning nine sites along the Middle River in Augusta County. Following protocols developed by Virginia Save Our Streams, each monitoring event involves collecting a sample of a site’s aquatic macroinvertebrates for identifying and counting. Plugging the numbers into a scorecard allows the results to be turned into a single number from 0 to 12 with the higher numbers reflecting an overall healthier aquatic environment. See the photo gallery below for a look at a typical benthic monitoring event, as worked by HMN volunteers Ann Murray and Adrie on July 20, 2014. This site sampling at Cline Lane, off Laurel Hill Rd. near Verona, saw high numbers of common netspinning caddisfly larvae which are fairly tolerant of water quality impairment. The final scoring tallied an 8 out of 12, considered a “gray zone,” meaning the “ecological condition cannot be determined at this time.” Click here for a scoring history of this site. The most recent water monitoring efforts in our area are being organized by Trout Unlimited in response to the potential for the development of unconventional shale gas resources in our surrounding forests. Based on similar programs in Pennsylvania, which has seen the extensive use of hydraulic fracturing techniques to extract natural gas, this program hopes to establish baseline data and ensure continuous monitoring for changes should gas drilling expand into this part of Virginia. With all day training sessions held in Harrisonburg on March 22, 2014, and in Charlottesville on June 21, 2014, HMN volunteers Sue Eckroth and Adrie joined other Master Naturalists and interested citizens in attending one of these sessions. Instructed in the methods and equipped with the tools to perform monthly evaluations of local streams at risk from the growing gas industry, Sue and Adrie are working on finding suitable sites in the Rawley Springs area to monitor for turbidity, conductivity, pH, and barium and strontium, among other parameters. Ann and Whit preparing the field table. Sampling containers ready for sorting the aquatic critters. Whit and Kaylee collecting our sample. Chris watches the timer. Our sampling crew: Whit, Ann, Chris and Kaylee. August 2, 2014 in Projects.